A look back at the events surrounding the Navy Yard shooting and remembering the victims one year later. 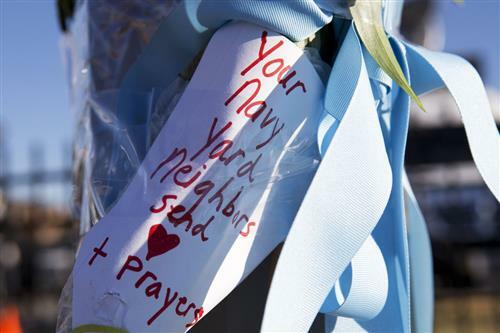 WASHINGTON -- It was one year ago Tuesday that terror struck at Washington Navy Yard. On Sept. 16, 2013, a lone gunman -- Aaron Alexis -- entered Building 197 of the Navy Yard in and opened fire. Roughly an hour later, Alexis had been shot and killed by police, but not before he'd claimed the lives of a dozen people. On Tuesday, several ceremonies will mark the day and remember those who lost their lives. Stay with WTOP.com for the latest events throughout the day. Laura Van Dornick worked alongside two of the victims. Her husband, David, had five co-workers gunned down. "I can't explain the word," Laura says. "I don't think there is a word." One year after the Navy Yard shooting rampage—ending in 12 dead and four injured—those most closely touched by the massacre reflect on the victims and their own journeys through the darkest days. "Seven funerals or seven viewings in a matter of seven days is too much for a human being," she says. For the Van Dornicks, the difficult times finally took a turn more than three months after the shooting. It came in the form of a rescued dog that had been through some traumatic experiences of its own. "In essence, we saved each other," she says. Read more about the touching story on WTOP.com. Navy officials are leading a ceremony Tuesday morning to pause and remember the day, WTOP’s Nick Iannelli reports. 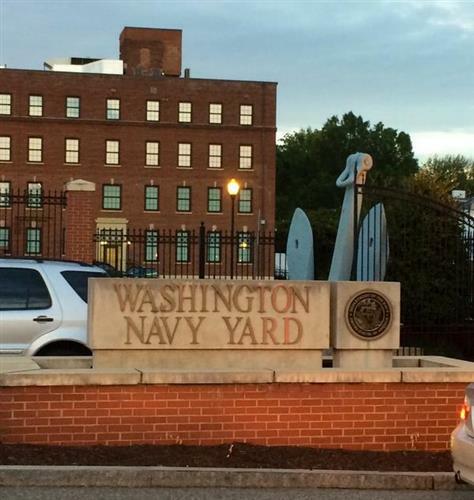 Tuesday marks the somber anniversary of the Navy Yard shooting. See images surrounding the event on WTOP.com.